Statuesque Miniatures and Pulp Alley are pleased to announce the Pre-Order of a new Pulp Alley Miniatures pack – Ramjeet Singh and Bosun, our second set of Sidekicks. 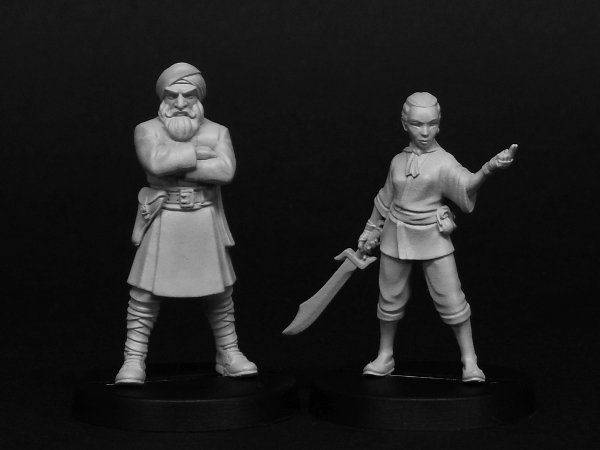 As a Pre-Order Special Offer, Ramjeet Singh and Bosun are priced at £6 for the pair, saving 20%. 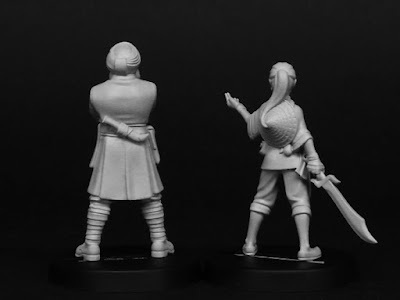 The figures are also available from Pulp Alley in the US for $9.75, saving $2. The Pulp Alley Phantom Pack cards are based on some of Dave and Mila's favourite and most popular Phantom Agent reward cards from 2014 and 2015, printed on premium stock to match the high quality Fortune Deck and other cards. 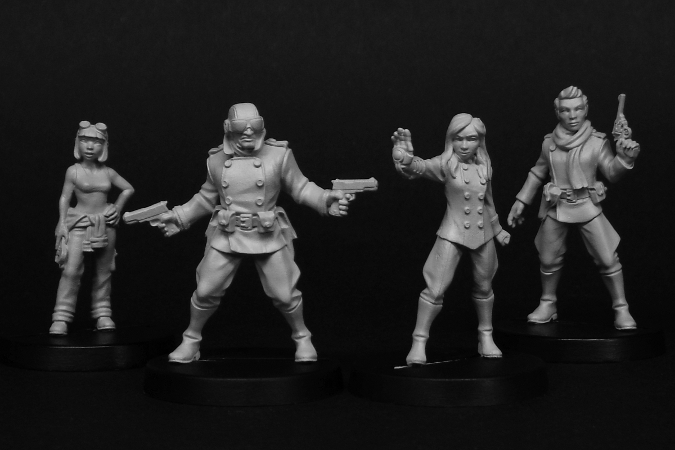 As a Pre-Order Special Offer, the Pulp Alley Phantom Pack is priced at £4.75. Also new this month are the Leaders and Sidekicks combo packs. 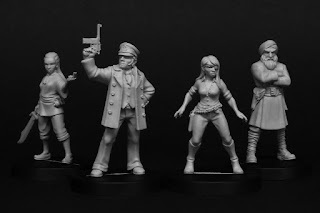 Phantom Ace and Pulp Girl are joined by their respective Sidekicks Gauge and Mak O'Reilly in the Pulp Heroes and Heroines pack, while Captain Wolf and Minerva team up with Bosun and Ramjeet in Pulp Pirates and Mercenaries. Pulp Heroes and Heroines and Pulp Pirates and Mercenaries are priced at £13.50, saving £1.50 over purchasing these figures separately. Any order containing this Pre-Order item will be posted by the 11th of December 2015. The special offer price also runs until the 11th of December. 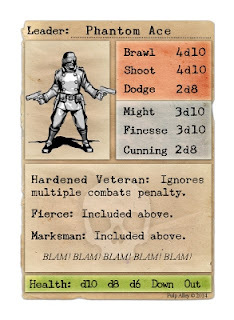 Finally, I've made available to purchase separately the various Pulp Alley character cards related to the Pulp Alley and Statuesque Asylum miniatures. So if you've bought these figures in the past without cards, but have since got into Pulp Alley and want to play them as written, now you can. Due to the cost of printing, I did have to raise the price of the cards available along with the figures (though it's still less than cost) while the cards available separately are slightly more again. 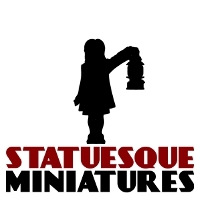 You can pick up the Pulp Alley Miniatures cards HERE and the Statuesque Asylum Cards HERE. That's it for this month. Unfortunately Professor Felicity Poppington was delayed slightly so will likely be an early January release, along with the first of the Fine Scale and Pulp Scale female heads sets. I've got a large pile of master castings to prep for all the different head variants coming over the next few months. I received some new prints this morning - yet more heads of all sizes and a big guy for Pulp Alley. An ancient Terror awakes... More on him later!